Hi! I meant to write sooner but as always, time got away from me. I had another episode delivery day today so things were pretty busy as always and I was pretty tired when I got home. 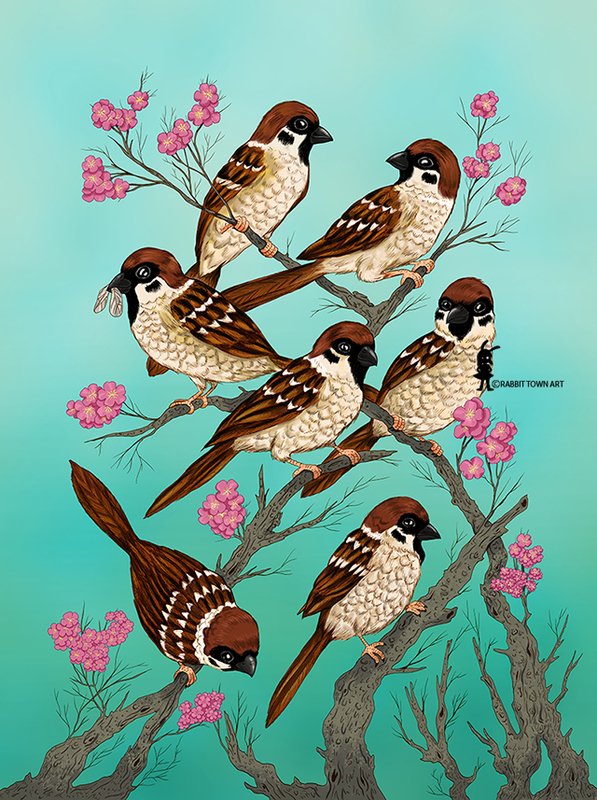 I finished coloring up my sparrows last weekend, right before Inktober, where you draw an ink drawing every day. I am a few days late posting here. I will need to make up for it soon. It's been fun but a little tiring. I almost have to do it in advance just to keep up. Not much else has been happening aside from drawing, working and wondering what expenses to cut out. Waiting to see what next year brings. Contracts are never sure, until they are happening. 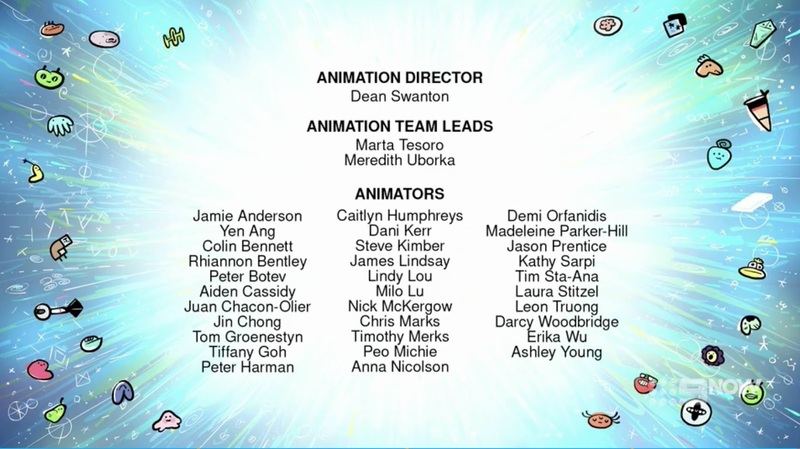 I also have this credit to show! My credit for Space Chickens! Pretty cool! I will probably have a break between productions. This time, I will spend my time doing all the things I've been meaning to do like large paintings, update all my social media accounts, a website...creative things..open more online art stores and promote myself and do things that I've been putting off. I should be all right...but you never know! I really should have budgeted and saved more money this year. Ah well.